Piper the company behind the DIY computer building kit which has been specifically designed for children and powered by the awesome Raspberry Pi mini PC. Have this week announced a new a round of funding led by Owl Ventures to the tune of $7.6 million. The first product from Piper is a computer kit designed to help children learn more about electronics and programming using the Raspberry Pi Edition of Minecraft. As well as the Raspberry Pi mini PC the kit includes LCD screen, buttons, wires, buzzers, batteries, switches, and speakers. 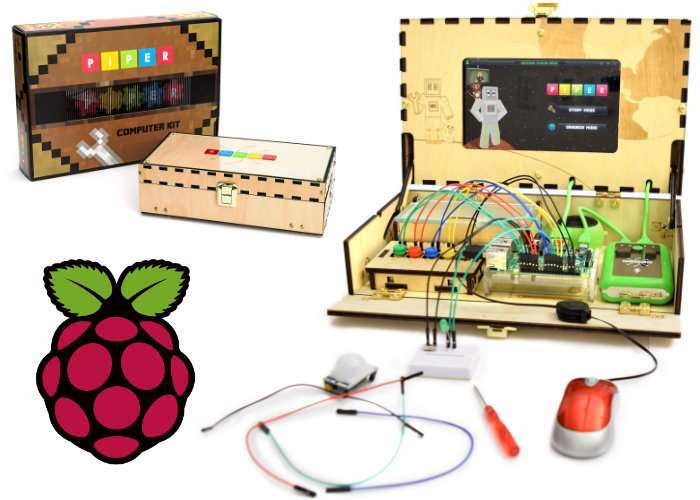 The Piper computer kit transforms the typical experience kids have with technology, giving them the power to create, versus empty, passive screen time. We’ve seen Piper kids grow in computing and engineering skills, and in their confidence to take on all kinds of challenges. Owl Ventures has a reputation for helping education technology companies scale their businesses, which makes them the perfect partner to help battle the passive screen time consumption epidemic, as we bring Piper to more kids, both in school and at home. For more information jump over to the official Piper website via the link below. If you enjoy building Pi projects you might be interested in our comprehensive list of Raspberry Pi displays, HATS and small screens.